The Coach.AFL online platform is designed as a central resource centre for coaches. 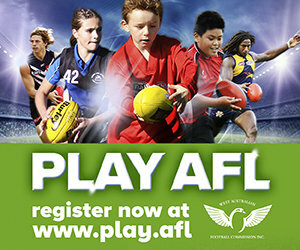 It will serve as a national membership database, enable coaches to manage their CoachAFL Membership (including accreditation, ongoing education and compliance) and provide access to a central Online Repository housing quality coaching resources and educational support. The WAFC is excited to launch the inaugural WA Female Coach Academy in partnership with the Fremantle Football Club, the West Coast Eagles Football Club and the AFL. The WA Female Coach Academy will provide a pathway for female coaches as they seek to develop their coaching skills through the provision of exciting education and mentoring opportunities in conjunction with our two AFL teams. The WAFC is calling for coaches to express their interest in completing their Level 2 Coaching Accreditation. If you are one of these coaches, please register your interest for one of the courses listed in the application form. Before completing the application form please ensure that you meet all the criteria for enrolment as listed below.